For a royal family that has faced serious upheaval over the last century, the Borbons of Spain have managed to hang on to some serious heirloom tiaras. That's been possible in part because the family has largely maintained personal possession of their jewels rather than consigning them to an official collection of crown jewels. 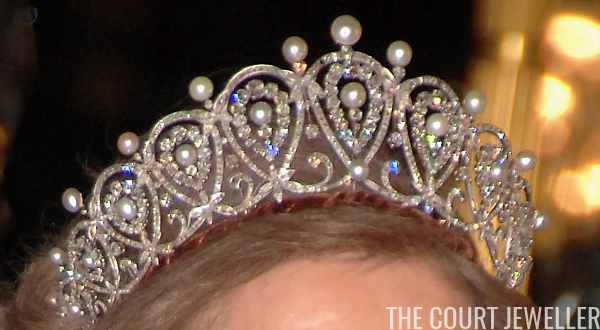 It also means that many tiaras, like the Cartier Diamond Loop Tiara we're discussing today, meandered a bit through the family before arriving in the hands of its current owners. The tiara, which is made of diamonds and pearls set in platinum, was originally made by Cartier for a nineteenth-century Spanish queen: Maria Cristina, the Austrian-born wife of King Alfonso XII. When Alfonso died, Maria Cristina was pregnant with the future King Alfonso XIII. Because of this, she was not only a queen consort but also a queen regent, as she effectively ruled the country from her husband's death until their son turned sixteen. 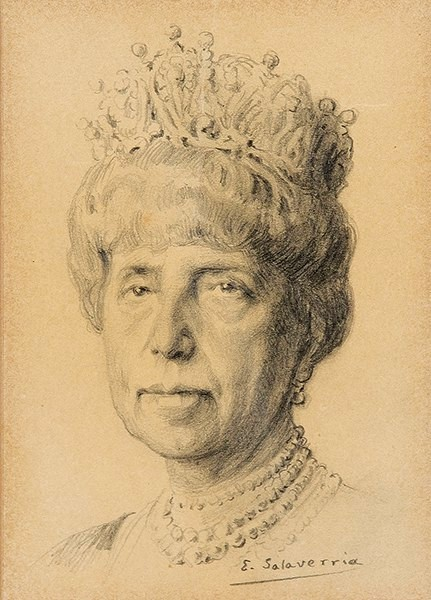 Alfonso XIII received the Cartier tiara from his mother. In 1935, he gave the sparkler to his new daughter-in-law, Princess Maria Mercedes of Bourbon-Two Sicilies, when she married his third son, Infante Juan. Juan and Maria Mercedes would have been the king and queen of Spain had the monarchy not been abolished in the wake of the Spanish Civil War. When Franco decided to restore the monarchy on his death, he passed over Juan in favor of his son, Juan Carlos. Although she loaned the piece to her daughter-in-law, Sofia, for the '70s-era Persepolis celebrations in Tehran, Maria Mercedes retained the tiara even after the monarchy was restored in 1975. 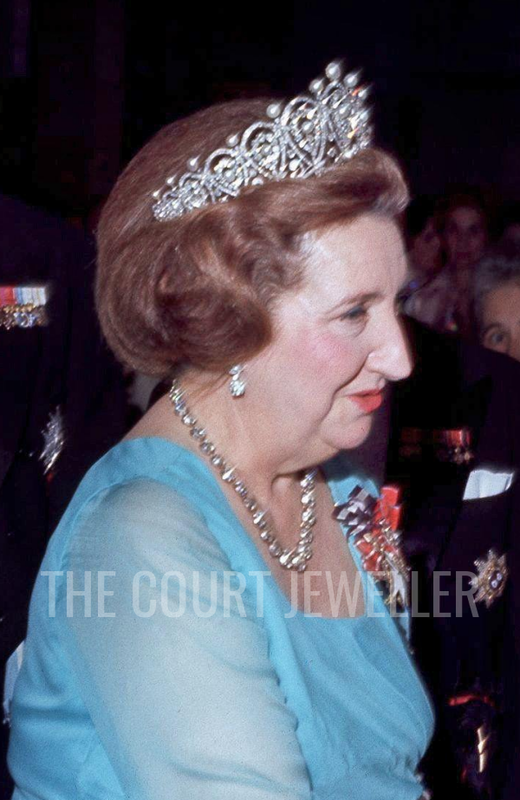 In 1967, she had loaned the piece to her daughter, Infanta Pilar, to wear at her wedding; she also loaned the tiara to her granddaughter, Pilar's daughter Simoneta, when she married in 1990. When Maria Mercedes died in 2000, Juan Carlos was able to obtain the tiara. Whether he inherited it or purchased it from another member of the family, perhaps Pilar, hasn't really been made clear. 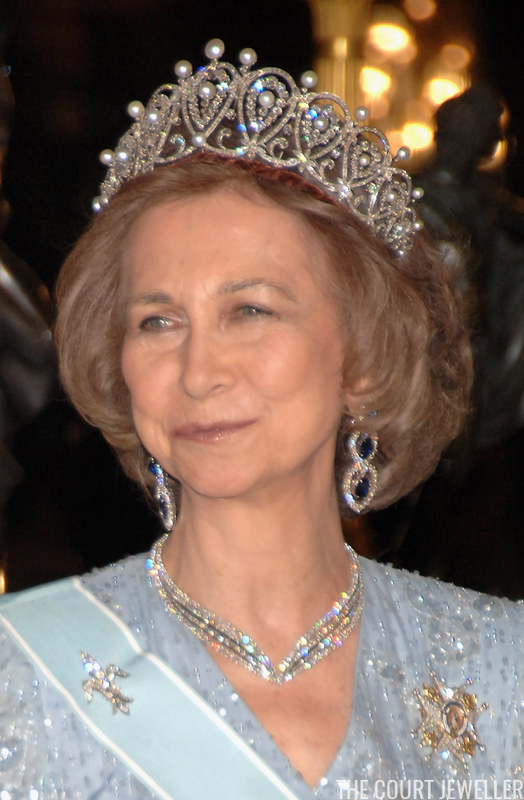 Given the six years that elapsed between the Countess of Barcelona's death and Queen Sofia's first appearance in the tiara afterward (at a 2006 state banquet in Norway), it wouldn't surprise me if some sort of deal had indeed been done. 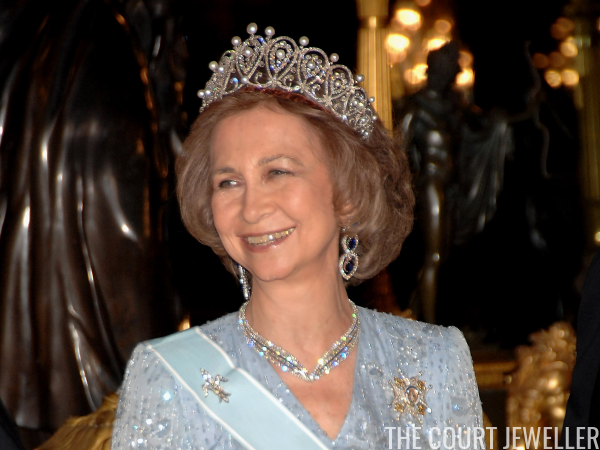 Today, the tiara is worn by Queen Sofia, returning it to the main line of the royal family. Queen Letizia has slowly begun wearing many of the grand Spanish royal jewels, but we haven't seen her take this one out for a spin yet. Let's hope that she borrows it from her mother-in-law's jewelry box soon! UPDATE! That didn't take long! Queen Letizia wore the tiara in public for the first time at the Chinese state banquet in Madrid in November 2018! Note: This is an expanded and updated version of an earlier post.